Hey everyone!!! Totally spaced on it being Mardi Gras today, having yesterday off threw off my schedule... I was convinced yesterday was a Sunday, so my apologies, no Mardi Gras nails... :-/ However, I was lucky enough to find a Sally Beauty that was selling the ORLY Foil FX collection, even though I'm thinking they weren't supposed to have them out, since it wasn't in their system, and I can't find anywhere selling it online yet. These colors are amazing. Like AMAZING. I wanted to do a design that would let the colors I chose shine.. literally. I bought all three, Rage, Luxe, and Shine, but only employed 2 in this design. When these polishes are for sale online, I will change the polish names to links like I usually have. I used Orly Rage as a base, which is a gorgeous Rose Gold foil, then sponged a little bit of Orly Luxe (the gold foil) on the tips, and then applied Zoya Raven with Konad Plate m70. Topped everything off with 2 coats of Seche Vite top coat. When stubborn glitter/shimmer wont leave your cuticles, use a nail cleaning brush to remove after polish is dry and you've cleaned up the cuticles with remover and a brush. I think these are totally bling-y enough to qualify as Mardi Gras nails! And I've got to say, the more I see of these Orly Foils, the more in love with them I am! They are wresting me from my winter doldrums. Now go have a 'Hurricane', some Étouffée, et laissez les bon temps rouler!!! Beautiful! Head2toebeauty is already selling them online for $3.50! 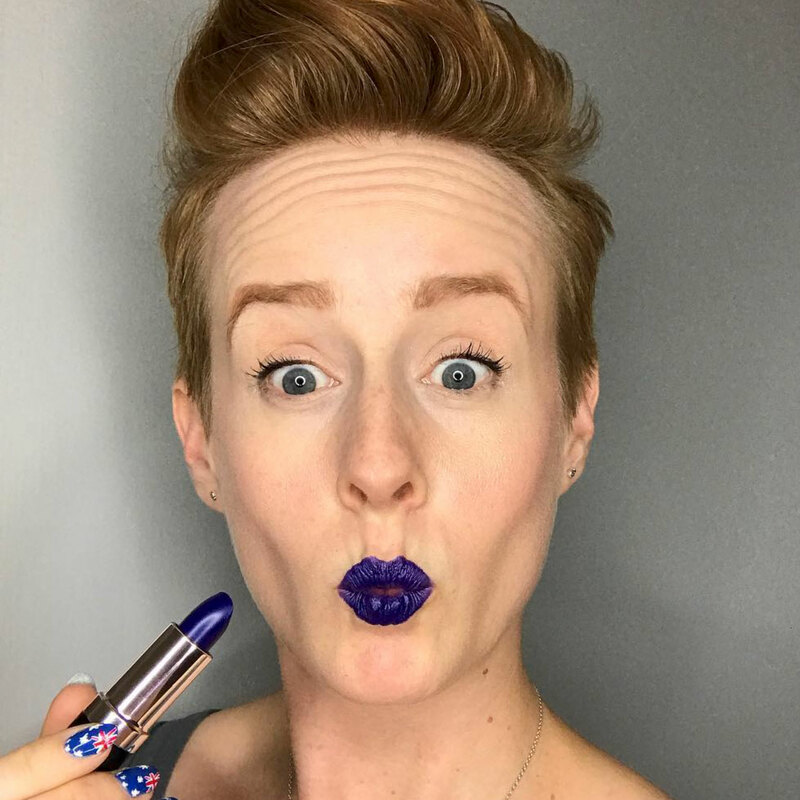 Just ordered Rage and Luxe! I totally thought by just looking at the pic that you had used 90's cover girl "crackle" nail polish. too bad they don't make it any more! I wish I was as good as U, doing nails. It's the Pollack stamping! Lol. Love it. I am running to my local Sally's at lunch to find the Orly's...fingers crossed! 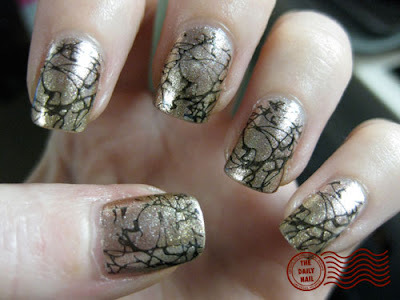 Christina- I have a bottle of the CG Crackle polish- in a goldy-yellow color!! Hah maybe one day (before the 365 is up) you could find a use for the old school crackle! Great job on your nails, just like every day! You have the CG Crackle Jack-O-Lantern, right? I just went to my local Dollar Tree two days ago in search of cheap nail polish to experiment with marbling. I found a package with a bottle of CG nailslicks in Suede and a bottle of Jack-O-Lantern. I'm not really a fan of either color, but I knew they would come in handy for cute designs like yours, so I bought it =] I love your designs and I hope to eventually have a collection as magnificent of yours!